A quick unboxing and Review of the BlackRidge 185 LPM Portable Air Compressor for your workshop. My Video above shows what comes in the Box. This air compressor has a 40 litre tank and can produce 185 litres per minute. Two air outlets, nice gauges one to show the air pressure, and the other to regulate the hose pressure. 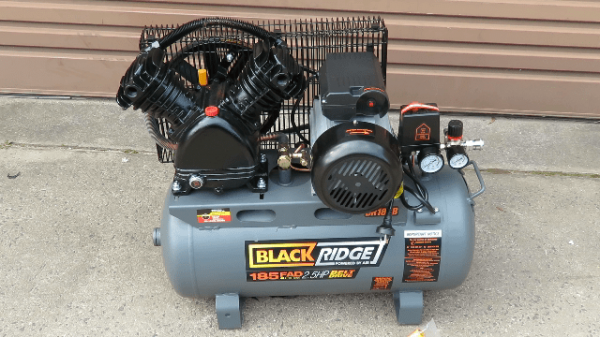 Thes BlackRidge range of air compressors are really inexpensive and should last you for many years. Air Compressors are capable of running many different tools, and once you have one in your workshop, you'll ask yourself why you didn't do it earlier. P.S. If you can't pick-up yourself from your local SuperCheap Auto Store, you can always have it delivered via courier to your address.